The range of Non Destructive Test Equipment offered by us comprises magnetic analysis equipment, which is particularly designed for exclusive applications. Our range is in high demand and is procured from the authorized vendors of the industry. We are one of the leading wholesale trader & exporters of Belt Tension Meter. 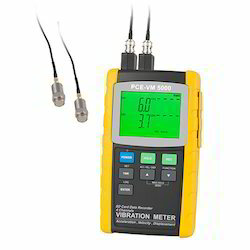 We are one of the leading wholesaletraders & exporter of Vibration Meter. 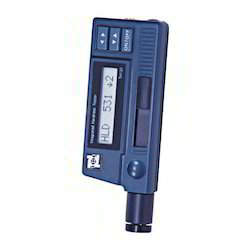 We are one of the leading wholesale trader & exporters of Laser Distance Meter. 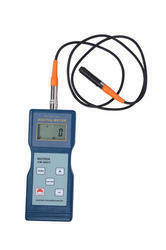 We are one of the leading wholesale trader & exporters of Ultrasonic Thickness Gauge. It can also be used to monitor all types of pipes and pressure vessels for the loss of thickness due to corrosion/erosion. 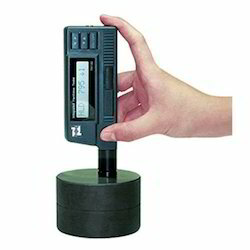 Portable Surface Roughness Tester - TIME3100 is a pocket-sized economically priced instrument for measuring surface texture conforming to traceable standards. It can be used on the shop floor in any position, horizontal, vertical or anywhere in between. 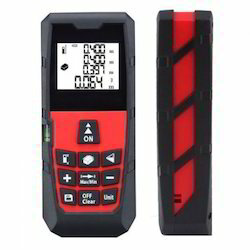 The large LCD display shows either roughness parameter Ra or Rz at the touch of a button, combined with the selected cut-off length. 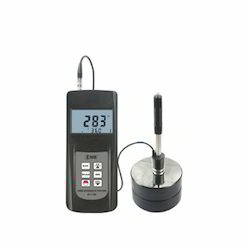 External calibration of roughness values is possible by means of a special CAL button, which makes adjustment of this instrument very easy. A beep signal informs the user of each individual measurement status when ready. The easy to use TIME3100 operates on various surfaces, not only flat but also outer cylinder, outer cone, grooves, and recesses greater than 80 X 30mm. The areas of application are wide spread. This unit is most suitable for inspection departments, quality control, on the shop floor during machining, assembly and on-site. 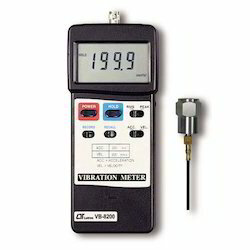 We are one of the leading wholesale trader & exporters of Vibration Meter. 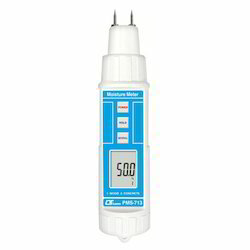 We are one of the leading wholesaletrader & suppliers of Moisture Meter. We are one of the leading wholesaletrader & suppliers of Coating Thickness Gauge. 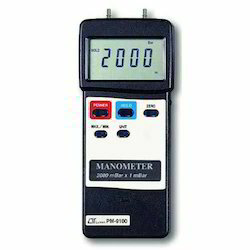 We are one of the leading wholesale trader & exporters of Manometer Lutron Taiwan Make. 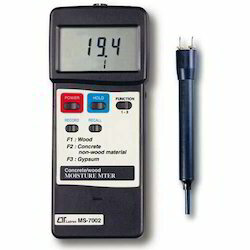 We are one of the leading wholesale trader & exporters of Concrete Meter. 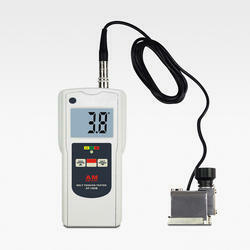 We are one of the leading wholesale trader & exporters of Coating Thickness Gauge. We are one of the leading wholesale trader & exporters of Digital Bore Scope. We are one of the leading wholesale trader & exporters of Digital Portable Hardness Tester. We are one of the leading wholesalers' distributors of Digital Portable Metal Hardness Tester. We are one of the leading wholesaletrader & suppliers of Force Gauge. 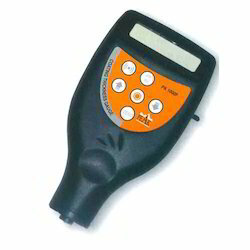 We are one of the leading wholesaletrader & suppliers of Portable Hand Held Pyrometer. 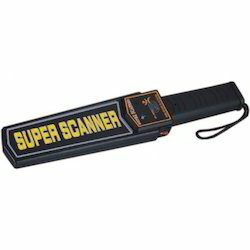 A high-performance lightweight Hand Held Metal Detector designed to meet the exact requirements of the security industry. Used to search offensive weapons in crowded places, airports, border security and anywhere that hidden metal needs to be detected. 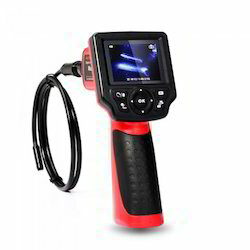 Features include detection of Ferrous and Non Ferrous metals, Ferrite & Explosive Belts. Has the option not to detect coins & keys – a common item thus reducing delay time with high footfall areas. Deters all metal objects, ferrous & nonferrous including stainless steel. Casing made up of high resistant ABS. High Reliability, long life performance. High Sensitivity and High accuracy. Buzzer sounds continuous when bat­tens' needs to be changed or recharged. We are one of the leading wholesale trader & exporters of Portable Hardness Tester. 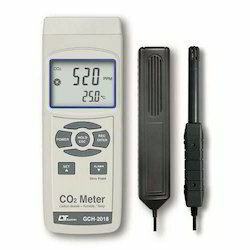 We are one of the leading wholesale trader & exporters of Carbon Dioxide Meter.